March 8, 2017 is International Women's Day (IWD). Last year marked the 100th anniversary of Women's right to vote in our country. The right to vote and to run for office became a fundamental aspect of equality and empowerment for women, and the year 1916 marked the first successful steps of the suffrage movement. On January 28, 1916, Manitoba became the first Canadian province to grant women the right to vote in provincial elections. Last year marked the 100th Anniversary of women's right to vote in Canada. Western Canadian provinces paved the way for women, as Saskatchewan (March 14, 1916) and Alberta (April 19, 1916) soon followed Manitoba in permitting women with the right to vote. British Columbia granted women voting rights on April 5, 1917, and the other Canadian provinces followed - Ontario April 12, 1917; Nova Scotia April 26, 1918; New Brunswick April 17, 1919; Prince Edward Island May 13, 1922; and Newfoundland and Labrador on April 13, 1925. Quebec was the last province to grant women the right to vote, which did not come until April 25, 1940, 24 years after Manitoba. As the suffrage movement was successful in attaining a women's the right to vote and stand for office provincially - those rights were still spotty federally. 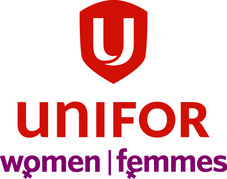 ​In 1917, women were granted to vote federally under the the Wartime Elections Act, but this right was extended only to women in the armed forces and female relatives of military men, so many did not view this Act as an honourable victory for Canadian women. After more debate and pressure from the suffrage movement, on 24 May 1918 all female "citizens" aged 21 and over became eligible to vote in federal election, regardless of whether they had yet attained such rights provincially. However, there were conditions attached to this new eligibility for women voters: "age 21 or older, not alien-born and meet property requirements in provinces where they exist". Most women of colour, including Chinese, Hindu, East Indian and Japanese women, weren't allowed to vote at the provincial and federal level until the late 1940s. In July 1919, women gained the complementary right to stand for the House of Commons, although appointment to the Senate remained out of reach until after the Persons Case of 1929. But aboriginal women, under federal law who were covered by the Indian Act, although being eligible to vote for band councils beginning in 1951, they could not vote in federal elections until 1960. On March 10, 1960, the House of Commons passed legislation giving aboriginal people (and aboriginal women) giving (Canada's First Nations People) the unconditional right to vote in federal elections. As all women could now vote, thus success of many years of the suffrage movement, the struggle for women's equality continued for many more years beyond the 1960s. Demonstrations marking International Women's Day in Russia proved to be the first stage of the Russian Revolution of 1917. Following the October Revolution, the Bolshevik feminist Alexandra Kollontai persuaded Lenin to make it an official holiday, and during the Soviet period it continued to celebrate "the heroic woman worker". However, the holiday quickly lost its political flavour and became an occasion for men to express their sympathy or love to the women around them - somewhat similar to Western Mother's Day and Valentine's Day mixed together. The day remains an official holiday in Russia (as well as in Belarus, Macedonia, Moldova, and Ukraine), and is observed by men congratulating women (any woman) and giving them flowers and gifts. From its official adoption in Russia, the holiday was predominantly celebrated in communist and socialist countries. It was celebrated by the communists in China from 1922, and by Spanish communists from 1936. After the founding of the People's Republic of China on October 1, 1949, the state council proclaimed on December 23, 1949 that March 8 would be made an official holiday with women in China given a half-day off. In Western countries, a day to officially honour and observe the achievements of women was not made until 1975 when the United Nations (UN) General Assembly invited member states to proclaim 1975 as International Women's Year. Then two years later, in 1977, the UN adopted a resolution designating March 8 as International Women's Day. Today, International Women's Day is a national holiday in many countries and celebrated in many more. 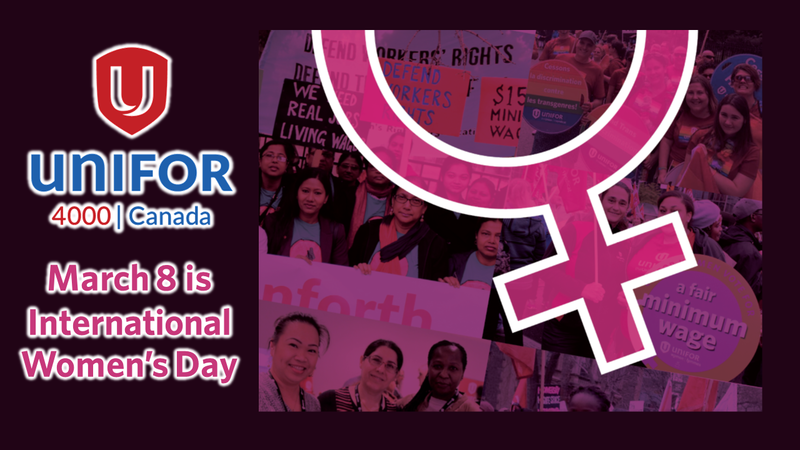 Following the United Nations' lead, Canada chose March 8 as International Women's Day (IWD).